Giving back is important to our firm. We believe that part of our responsibility as attorneys and citizens is to lead by example and to give back to our community. 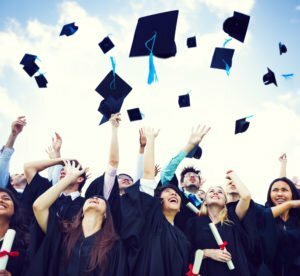 That’s why four years ago we launched the Manning & Zimmerman Scholarships, where we offer a $1,000 scholarship to two New Hampshire high school students who plan to pursue any type of secondary education or vocation/technical school. Interested students are asked to submit an essay or video on the topic of distracted driving. The winners will then be selected as the recipients of a Manning & Zimmerman Distracted Driving Scholarship. One scholarship will be awarded for the best-written essay and one will be awarded for the best video entry. For more details on submissions, please visit the scholarship section of our website. What Are Our Goals With These Scholarships? First, as part of our desire to give back to others, we are hoping that this program will help two New Hampshire students on their pathway to higher education. 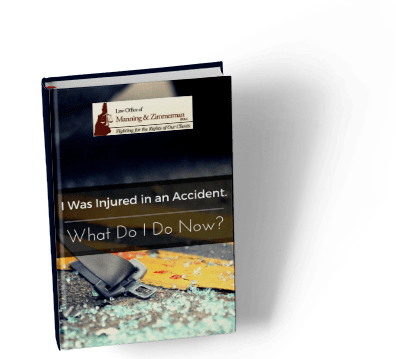 Second, personal injury attorneys are painfully aware of the devastating consequence of distracted driving and hope to raise awareness around this issue and motivate others to think carefully about the dangers associated with distracted driving. Distracted driving means a motorist has taken their attention away from their primary responsibility — driving. While most people now associate distracted driving with cell phone use, it can also be the result of eating, diverting attention to the stereo or navigation system, putting on makeup; basically, anything that takes the driver’s attention away from the road, including using a cell phone. New Hampshire takes distracted driving very seriously. In 2015 the state legislature passed a distracted driving law. RSA 265:105-a “prohibits text messages and device usage while operating a motor vehicle.” However, motorists are allowed to use a Bluetooth, hands-free device. You cannot drive safely unless your full attention is focused on the road and the task of driving. At Manning & Zimmerman, we want our roadways to be as safe as possible and that is why we are trying to raise awareness about the dangers of distracted driving, hoping that those who submit entries for our scholarships will learn from this experience and be safer because of their participation. If you or someone you know has been injured because of distracted driving, it’s imperative that you speak with an experienced attorney. You could be entitled to compensation for medical bills, lost wages, and other crash-related damages. At Manning & Zimmerman we have decades of experiencing helping people who have been injured in a crash because of distracted driving. 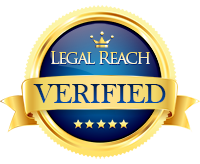 We offer free consultations and are more than happy to speak with you about your case. Please contact us today. We stand ready to speak with you and fight for your rights. The deadline for scholarship submissions is May 1, 2019. The process is as follows. 1: How significant is distracted driving in your peer group and describe the problem as you see it? 2: What can be done to reduce or eliminate distracted driving to reduced or eliminated to make our roadways safe? To submit the video: Publish the video on your YouTube channel and title the video “Manning and Zimmerman Scholarship Entry” and then send an email to Jackie@MZLawNH.com with: a link to the video, your contact information, including name, mailing address, email address, and phone number, and the name of your high school. 3: Email to Jackie@MZLawNH.com. Be sure to include your name, mailing address, email address, and phone number. Also include the name of your high school with all submissions. For more information about our scholarship program, click here.